George Town, Cayman Islands – Regional bank CIBC FirstCaribbean recently announced the appointment of Paul Michael Jenkins to the post of private wealth investment adviser. The experienced banking executive will work with CIBC FirstCaribbean clients in The Cayman Islands, Barbados and the Eastern Caribbean to provide international investment advice. 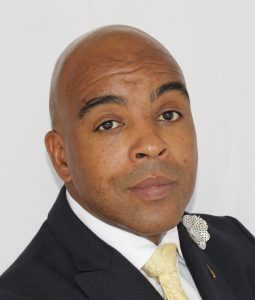 He has amassed a significant amount of experience in the area of private wealth management, having worked with institutional and private clients in Canada and the Caribbean for more than 15 years, most recently with Scotiabank & Trust in The Cayman Islands. Jenkins holds an honours bachelor’s degree from the University of Western Ontario (Western University) and an MBA specialising in finance from Alliance Manchester Business School in the United Kingdom. He has spoken internationally at several conferences and written numerous articles on the discipline of wealth management. He said he was eager to provide clients with access to a new investment advisory platform that uses state-of-the-art financial asset management tools provided by BNY Mellon’s Pershing. It delivers direct access to investment accounts from any Wi-Fi location globally, providing clients with real-time portfolio positions and valuations. Jenkins’ appointment took effect Feb. 21.